Going round and round trying to decide on your wedding bands? Here’s where to start. Talk Bali is not just about tourism destination, but Bali also central of traditional and modern industry of silver or gold manufacturers. If you’re looking wedding rings for your wedding ceremony might Bali could be one option to get a wedding rings that fits your desire and your budget. What can you realistically spend (ussually about 3-4% of total budget)? Many couples will have start bands something that fits the budget now to be upgraded at a leter clate (usually an anniversay). 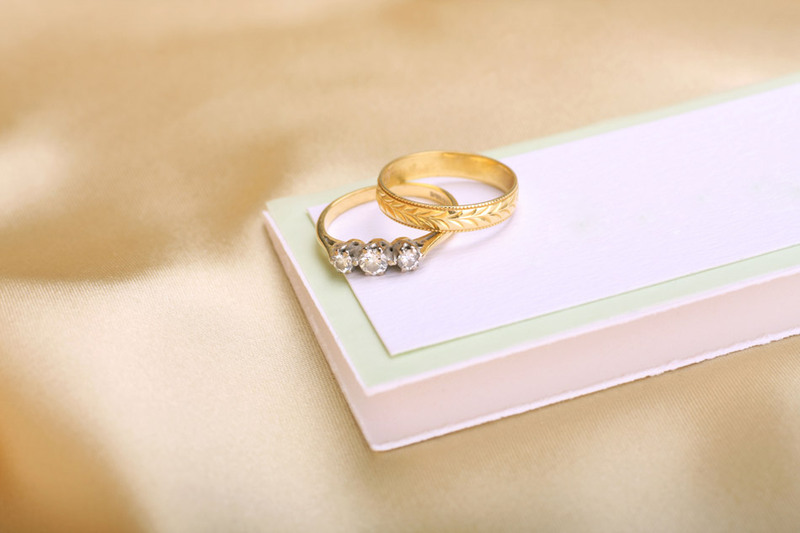 Do you want the wedding bands to match?His and her’s matching sets used to be the norm but today the decision is more often based on the need for durability and personal style. Does the bride’s band need to match the engagement ring or just complement it? Buy a band that goest with but doesn’t necessarily match to create your custom look. What is your lifestyle like? If you are active with sports or play certain musical instruments, you might want a slimmer ring with rounded edges. Sometimes called a comfort fit. Where do your bands pend most of their days? Ond dirt or grime? For people who work with their hands rings with carvings or filigrees can trap dirt grime or germs (for those in the medical profession) and stones in rings can come lease and get lost. An increasingly popular choice in recent years platimum is stronger thn gold but not as durable as several other choices sucs as titanium. Ots bright, white color will not fade but it is usually the most expensive choice. Note, platinum can be a heavy metal to wear on a daily basis. Bes sure to try one on before purchasing. The traditional medal of weding rings for centuries. Most come in 14K (more affordable and durable) and 18k. Any karat of gold above 18k is too soft for daily wear rings. White gold is yellow gold mixed with other medals and coated i rhodium plating. Ehile it looks like pplatinum the plating does easly wear off. The hardest natural metal it is a popular choice for men’s rings. Not only is it lightweight it is extremely strong and durable and its silver-gray color will not fade. More affodable than platinum it can be slightly more expensive than gold.